At our garden group meeting of 2 March, Marilyn King had some interesting advice on Blueberries and Camelias, both lovers of acid soil. 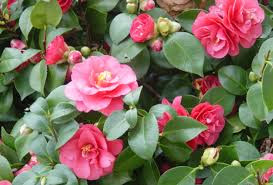 · Plant in ericaceous compost in a shady position. Can be put in a pot measuring 30-38 cm (12-15”) sunk into the soil. Mix together, remove some of the old compost and feed, replace compost with new and finish off with a mulch of pine bark or other acid mulch. Water, if possible with rainwater. Trim back some of the old wood to allow new growth. · Plant in ericaceous compost. Mulch with pine bark. · Sight facing a south-western to northern aspect. 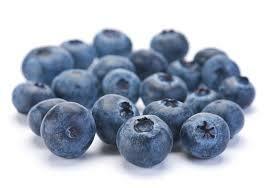 · Feed as per Blueberries but in late spring, after flowering and after their dormant period. · Once buds appear do not turn the pot round as this can cause them to lose the buds. · Water with rainwater if possible. No pruning necessary. 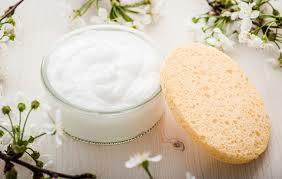 We use cream to moisturise our skin, to prevent our skin from drying out. It makes new skin cells at the bottom of the layer. 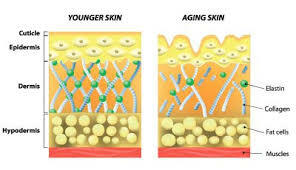 The skin cells travel to the top of the layer and flake off about 28 days after they have been formed. It makes melanin, which is what gives our skin its colour. Sweat glands where sweat is made. Nerve endings which send signals to the brain so we can feel cold, heat, pain, itchiness. The root of each hair. A small muscle is attached to each root, when it is cold the muscle contracts, the hairs stand on ends and the skin gets goose pimples. This is a remnant of a time when humans were covered in a lot more hair. Hair that stands on ends keeps the heat in and at the same time more oil is secreted. 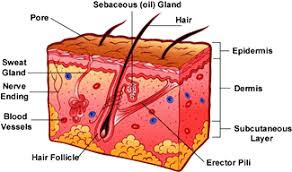 Oil glands, a tiny gland that secretes a lubricating oily matter into the hair follicles to lubricate the skin and hair. The oil keeps your skin soft, smooth and waterproof. When it makes too much oil it causes pimples (acne). Capilliaries (small blood vessels) bring the blood to your skin, feed the skin and take away the waste material. Special connecting tissue that attaches the dermis to the muscles and bones. The blood vessels and nerve cells that start in the dermis get bigger in this layer and are connected to the rest of the body. Stores fat, this fat pads your muscles and bones and protect them from bumps and falls. Our skin absorbs oxygen, 2% of the oxygen requirement for the body takes place through the skin. We secrete oily matter, sweat and carbon dioxide. Per day we secrete 1 litre of water, 2/3 of this is in sweat. Of coarse we perspire more in very hot weather conditions. Perspiring is a way for the body to cool down. When we get hot, the skin turns red, as a result of the widening of the blood vessels. The blood circulation is increased, more heat is used and secreted. In this way the body does not overheat. Our skin and hair consist mostly of 2 large fibre proteins, ‘keratin and collagen’ and in smaller quantities ‘elastin’. Keratin is the most important structural component in hair, horns, claws, hooves and the outer layer of human skin. Collagen is the most common protein in the connective tissue of human beings and mammals and make up 1/3 sometimes more of our body weight. The elasticity of our skin is due to the protein elastin. Elastin is mostly present in our tendons and blood vessels. The Epidermis, the top layer of skin, is there to protect the Dermis and Subcutaneous fat layer. No cream can pass through this protective barrier. One of the few things that pass through is essential oil with its very small molecules. The function of creams is moisturising the Epidermis. By moisturising the skin appears smoother and helps the wrinkles appear less severe. It cannot make them go away. For a good cream oil, water, emulsifier and a stabiliser is needed and some drops of essential oil for therapeutic purposes. 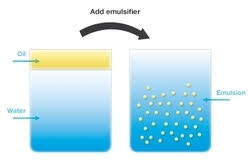 We all know that oil and water do not mix, but when we add an emulsifier to oil and water the mixtures turns into a milky liquid, a stabiliser is added to influence the consistency of the cream. Almond Oil – it gives a pleasant, soft feel to the skin and does not become rancid quickly. Avocado Oil – hardly ever goes rancid, very good oil with a high moisturizing factor, and it even protects mildly against sunburn. Native to Central America. The oil is made from ripe fruit. Jojoba Oil – like Avocado Oil it protects mildly against sunburn, makes the skin feel very supple and elastic. The oil is obtained from the nuts of a desert plant Simmondsia chinensis (Jojoba). Native to California, Arizona and Mexico. Distilled water or demineralised water is used to make creams. The emulsifier used in the recipe is ‘Lanette’ made from Cocos nuciferia, the Coconut Palm. Coconut oil which contains the component with its Cetearyl glucoside and Cetearyl alcohol has emulsifying properties. Bees wax – it comes in two forms, yellow or white pellets. 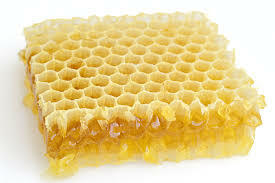 Beeswax has been used for centuries. Very suitable to make handcreams. Cetyl Palmitate – before this stabilisor was found in the skull of sperm whales. It is no longer used and a substitute has been produced derived from Palm Oil. Cetyl Alcohol – made from Coconut Oil, produces a more solid cream, but makes the skin soft. Cocoa Butter – made from the Cocoa beans. It hardly ever becomes rancid, it feeds the skin but as it leaves a shiny sheen, it is more suitable for night cream. Shea Butter – from the Shea Nut Tree (Butyrospermum Parkii Kotschy) native to Central Africa. Very skin friendly, it cures and disinfects and offers some protection from the sun. It can become rancid. A weight scale that is accurately to 1-2 grams. A pan large enough to contain 2 heat resistant glass measuring jugs of 200 ml. A thermometer to 100 degrees C.
2 heat resistant measuring jugs of 200 ml or other glass jars i.e. jam jars. Plastic or Glass Stick to stir. Jars of 50 grams for the cream. it is easier to make a large quantity of the fat components (oil, emulsifier, stabiliser). 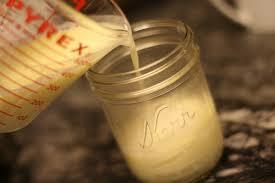 After melting the fat components together you can store it in a jar for up to 1 year in the fridge. As no preservatives are used in the cream, make the cream in small badges whenever you need it. You do not need to use the above mentioned stabilisers. You can use just Bees Wax on its own or Cacao Butter or any of the other stabilisers as long as you keep to 20 g of stabiliser in total. melt this together, stir, leave it to cool a little, then transfer it to a jar for further use. 30 g of distilled or demineralised water. Heat some water in the pan. Add the distilled water to the 1st heat resistant glass measuring jug. Add the fat components to the 2nd heat resistant glass measuring jug. Put both into the boiling water. The oil fat mixture takes longer to heat than the water. Heat both 70 degrees C.
Take the 2 jugs out of the pan. Slowly add the water to the fat mixture whilst stirring. Keep stirring in a figure of 8 till the mixture is thick. Add the essential oil when the cream is below 30 degrees C.
Bibliography: Cremes en milde zepen – I. Putz & C.Niklas; Web; Cursus Kruidenverwerking.